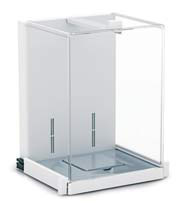 The Cubis® was developed for users, who expect the best possible performance from a lab balance across the board but only want to invest in what is necessary. For this reason, Sartorius has gone far beyond simply further developing what already exists. The new Cubis® represents a groundbreaking new concept. Only pay for what you need... modular balance design allows you to choose from different options to configure your balance to suit your individual needs and obtain the most optimal solution for integration into your weighing process. Broad portfolio ranging from ultra-micro to high capacity balances with high-precision weighing performance for fast and accurate results. Safe & easy to use with Q-Guide... specific tasks can be easily defined through the interactive operator guidance to program settings and hide information that isn’t relevant. 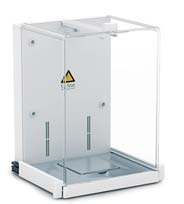 With Q-Level, weigh with ease knowing your balance will always be level... Cubis® is the only laboratory balance that automatically checks, performs and documents its exact leveling1. Cubis® individual... a more effective way to increase process efficiency and promote fail-safe reliability in the weighing process by implementing Q-Apps directly in the Cubis®. Fast and straight-forward communication with Q-Com... three fixed (USB, RS-232C, Ethernet2) and three optional interfaces make almost all forms of bi-directional communication possible. Cubis® is well-protected against fluid spillage and has an easily removable, high-grade stainless steel weigh pan & shield plate. In seconds, the balance can be ready again for measurements. With the integrated Q-Stat ionizer3 and conductive coating on the glass panels, electrostatic charges on vessels and samples are quickly eliminated for stable, more accurate results. A wide selection of accessories can adapt to various vessel types for ergonomic operation and can also function in harsh workplace conditions for safer, more efficient weighing. Customize a Cubis® MSA laboratory balance at any time by downloading specific applications, called Q-Apps, directly into the balance. Once installed, Q-Apps guide users step-by-step through a specific weighing workflow, ensuring thorough compliance with written SOP’s. Integrating SOPs directly into the Cubis® adapts the balance to a process and not the other way around, and is considered embedded software on which fewer validation requirements are needed, as compared with external software, or middleware. 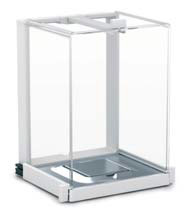 Cubis® individual tremendously increases efficiency and reliability in the weighing process, thus saving valuable time and money in laboratories. 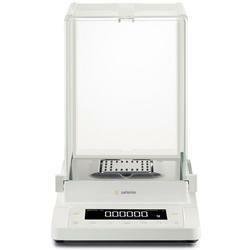 Improve Sample Management For better organizing and control of weighing samples. Effective Data Management Alleviates the need for manual data handling, which can automate the documentation process and also increase the reliability of results. Efficient Communication In addition to printers, direct connectivity to LIMS via web services and direct read & write from|to FTP servers are also possible. With Q-App Advanced versions, result evaluation via HTML (browser) is also possible. Guided external calibration process with up to 5 definable weights. The workflow has two levels, an administrator and a user level. Administrators are allowed to define up to 5 different weight values, including the ID, value and permissible tolerances. Users are only allowed to perform the calibration process. 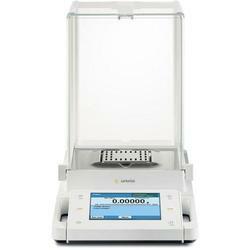 The process runs automatically and the user is guided through the calibration process. Data acquisition and evaluation are done automatically. 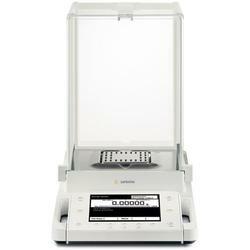 Documentation can be performed on a Sartorius printer and/or via Ethernet on the basis of Q-Web with HTML visualization.